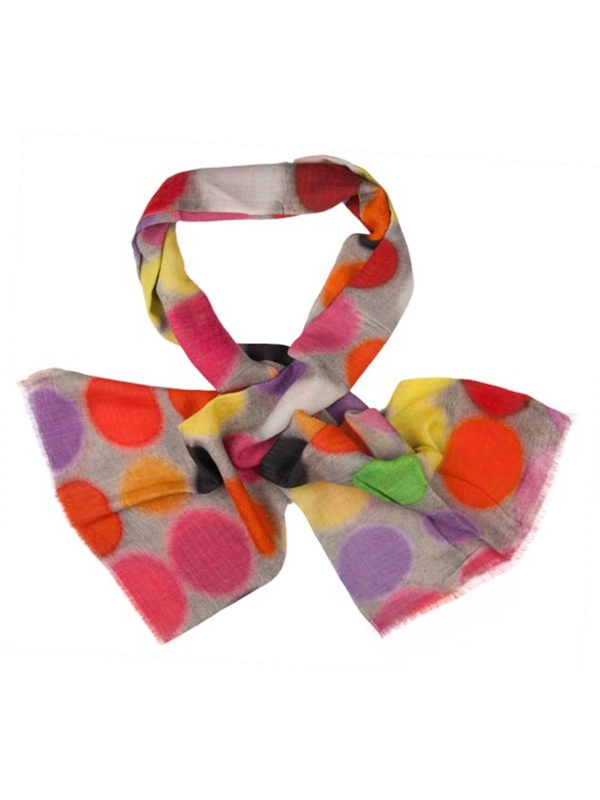 Scarf KAP214-01 from Kapre is a stunning multi colour scarf made from a fantastic silk and merion wool mixture. Perfect scarf this season. 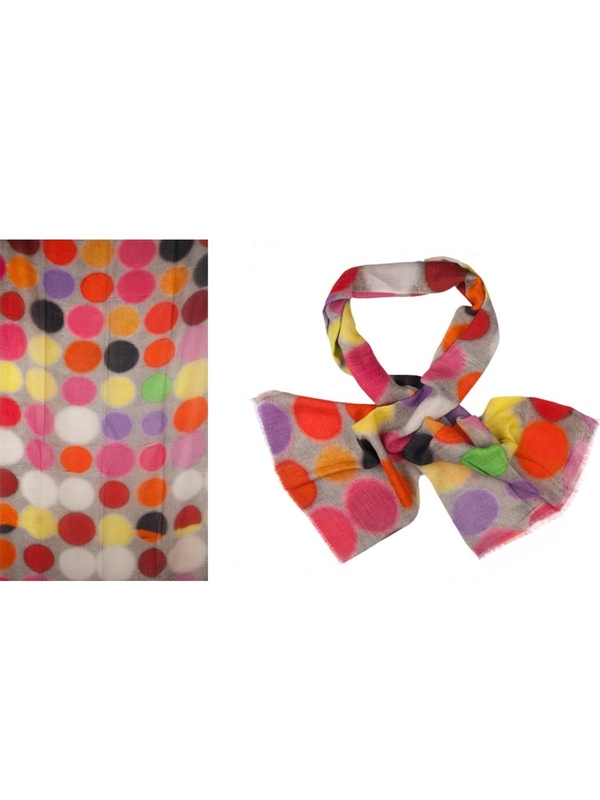 Stunning Scarf KAP214-01 in all the colours of the rainbow, printed as circles on a grey background.